Just another Technology Blog. Oh wait, we're unique. 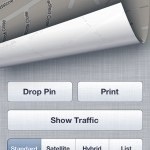 Look up a location on the Maps app, press the icon to roll it back and you’ll see a brand new print option. It’s perfect for giving directions to a friend without giving them your actual iPhone. Tap into the Settings screen for messages and you’ll see how many devices are receiving messages to your Apple ID. If you remove your email address, you’ll stop any other device with iOS 5 and your account details from snooping on your iMessages. Perfect if you’ve left a connected iPad at home in reach of someone else. 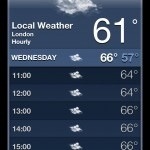 Open the weather app, tap on a daily forecast and you’ll see an hour by hour breakdown of the incoming stormfronts or sunshine. If you have an iPhone 4S, Siri will even read this stuff to you too. Duck into the settings for your iPhone’s keyboard, scroll to the bottom and tap add new shortcut. Now you can add whole sentences, just by tapping a few keys. Ideal, if you’re always apologising for lateness for example. This will be a real blessing to heavy work emailers: previous text expanders for iPhone by their very nature would only work in apps that supported them. OK, so it’s not the same as a tiny LED on the front of a BlackBerry or HTC Android phone, but it’s a useful move nonetheless: you can set the LED flash for the camera on the back of your iPhone to flash to notify you to missed calls and messages. You’ll find it in the accessibility options, but even if you have perfect vision it’s still worth investigating. HTC Desire review. A revolutionary product.